Because it's a dangerous world out there, it's not a bad idea to be always be ready to defend yourself. 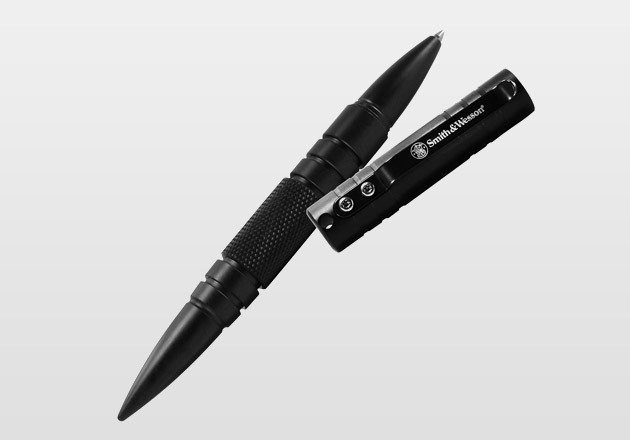 The Smith & Wesson Tactical Pen ($20) is a great personal defense tool to carry in your laptop bag, glove-compartment, man-purse, fanny pack or back pocket. Machined from aircraft aluminum, this Kubaton pen features two business ends: one for the office and another for the streets.